Work life balance has evolved into work-life integration for a substantial portion of the employed population. To know more, read on. Employee stress continues to be the primary problem for all companies, all the time. Stress is a natural phenomenon and occurs at every workplace. When left unattended it can not only affect the productivity of your employees but can also wreak havoc on employee health. Work life balance has evolved into work-life integration for a substantial portion of the employed population. An employee now is at the core of work skills needed at the workplace and that is an accepted fact. The effect of work-life integration has led to a phenomenal shift in the way people are dressed at work, the kind of food is served at cafeterias and the way graphics are speaking to workers across workplace walls. Apart from that companies are increasingly supporting working mothers by providing they care for their children at work premises itself. Companies are slowly but consistently leading to enabling employees to pursue things beyond their key result areas at the workplace itself. This is also a result of employees spending most of their waking hours at the workplace. Companies are taking to coaching their employees in performing arts like singing, dancing or playing an instrument – in a way fuelling their personal interests and making their peers appreciate them for talents beyond their work skills. What can stress out an employee? There are healthy levels of stress that could be highly motivating and push employees to rise to workplace challenges. But unhealthy stress can produce diminishing returns in the long run. Several times the task itself can be stressful to the employee. 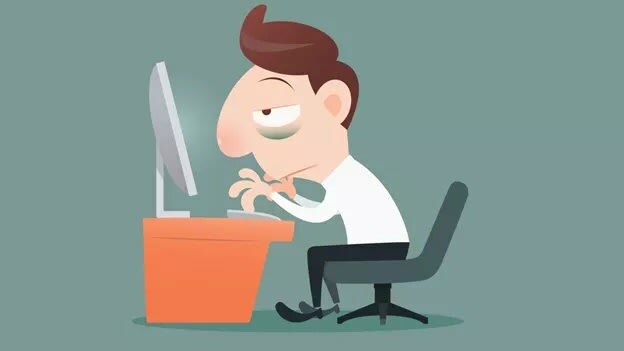 In an evolving work environment, employees can be confronted with workload increases, changes in teams, appraisal structures, ineffectual or unsympathetic management, lack of appropriate tools or even trivial things as bad coffee could add to the work-life stress. Complicated personal lives could spill over to work life adding to the stress. Another very important of distressed employees is the growth of volatility, uncertainty, complexity and ambiguity (VUCA) of general conditions and situations. The business class and unpredictability has created confusion in the way employee would spend the year or a quarter or the week at work. In effect it is not just the quantum of work but also adding to the stress of unemployment is the unpredictability of the work which needs to get addressed. What it also means it is a lot about playing with the mind and heart of the employees so that there is a deeper sense of assurance that "all is well"
How do you destress an employee? There are two broad areas of distressing in the line of work-life integration. Work related: How does one deal with work related issues like work pressure, peer relationships, achieving targets etc? Allocated business human resources, off sites activities, team outings and motivational events form a regular feature when it comes to managing work-related issues. Block leaves of 15 days to a month - a concept in banks which started as compliance practice but now has also been embraced as a great business practice to reduce employee distress. Life beyond work related - Fun at work, wellness-oriented initiatives, hobby clubs, buddy systems, sponsoring employee participating in contests around hobbies, concierge services, job customisation around maternity, leaves around parenting, work from home and facilities like ombudsman for counselling are some of the practices that can be brought in to motivate employees beyond work. If your employees matter to your business a corporate’s preference will swing towards the third option. In a country like India where corporates still largely are dependent on their workforce, it is important to adopt the third approach. In addition to that when we deal with a generation that is emotionally mercurial it is important to play a key role in both their work and life beyond work. An employer looks more attractive when one looks at beyond salaries and perks, one who shows eagerness to customize work to suit the skills of their employees and make them feel comfortable in their work environment, rather than just looking at ‘job roles’. This leads to more comfortable employees, less stressed work and therefore increased productivity per person. In my opinion, it is important to do what is important to your employee and make it part of your business strategy. While putting it up as a strategy your organization intends to follow it is also important to communicate it correctly to your employees. Your work environment and the fact that you care for employees beyond work can act as a very good proposition for talent acquisition as well. It will position your company better in a job market where the race often is about salaries and perks. Nishant Parashar is the Director and Founder of Engage4more. A communications professional with passion, initiative and a proven track record of over a decade, he has delivered results across various roles. With a background in Brand Management & Development, Employer Branding & Engagement, Internal Communications, Media Planning, Sponsorship Management & Activations, Event Management & Promotions is what led to the launch of engage4more, in June 2010.